Resolve Optics reports that a leading global nuclear systems integrator has ordered a second batch of its Model 357 non browning zoom lens. This unique lens is designed to provide true high definition (HD) quality images over an unrivalled 10x zoom range. As a leading provider of radiation detection, measurement, analysis and monitoring products and services to the nuclear market the systems integrator is often tasked with providing radiation tolerant cameras for this extreme environment. Mark Pontin, Managing Director of Resolve Optics commented “We are delighted to receive this second order of Model 357 lenses”. He added “The nuclear systems integrator sought a high resolution lens able to withstand the high levels of radiation encountered in reprocessing facilities but also provide a clear crisp image for their 1/3-inch (6mm) rad-hard colour CMOS cameras. We believe that the Model 357 is helping them provide an unmatched clear view monitoring system to further improve the safety of nuclear reprocessing plants”. Using specialist non browning glasses the Model 357 is able to produce clear sharp images free of the strong yellow tint that has traditionally been a limiting issue when using radiation resistant lenses on colour sensors. 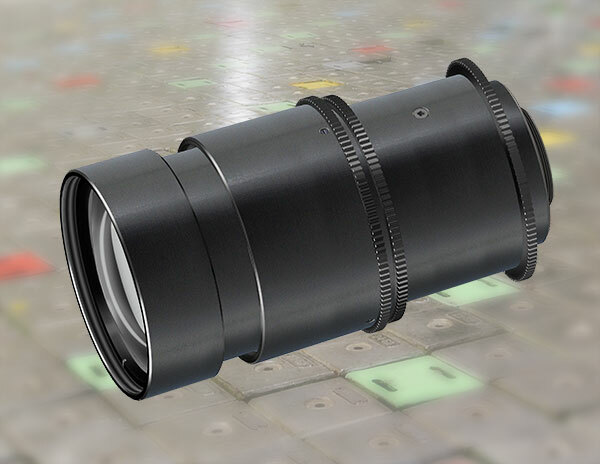 The Model 357 HD 10x zoom lens has been designed to operate in environments subject to high level radiation, such as nuclear fuel handling, reactor active zones and nuclear waste storage plants. The non-browning glass used in the Model 357 is proven to withstand long-term exposure to radiation up to a dose of 100,000,000 radians and temperatures to 55 °C without discoloration. Operating at f/2, the Model 357 provides high image resolution and minimum geometric distortion from 400 to 770 nm, and can image objects from 800 mm to infinity without using add-on adapters. When focused at infinity, the lens achieves high image resolution on axis at full aperture throughout the zoom range without refocusing. For further information on the Model 357 please visit www.resolveoptics.com/357-000-6-5-65mm-f1-8-non-browning-zoom-lens/ or contact Resolve Optics Ltd. on +44-1494-777100 / sales@resolveoptics.com.